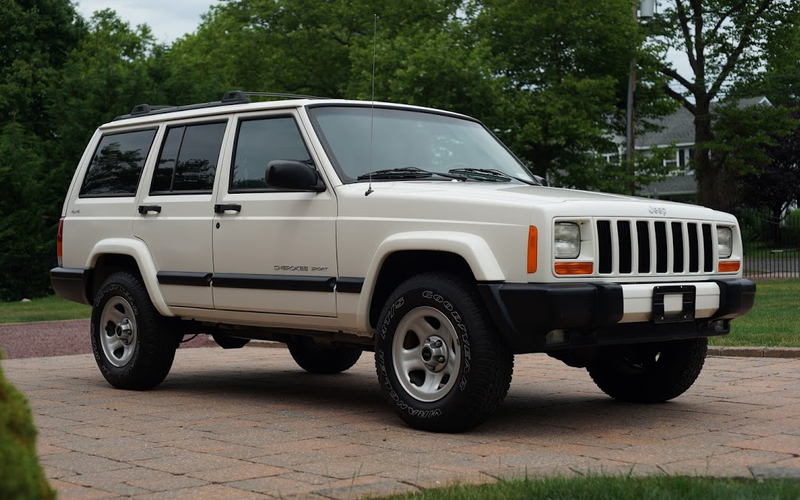 "A Jalopnik reader from Long Island just bought a 4,400 mile Jeep Cherokee from an older owner in Queens in what is perhaps the greatest Jeep XJ barn find of our time. 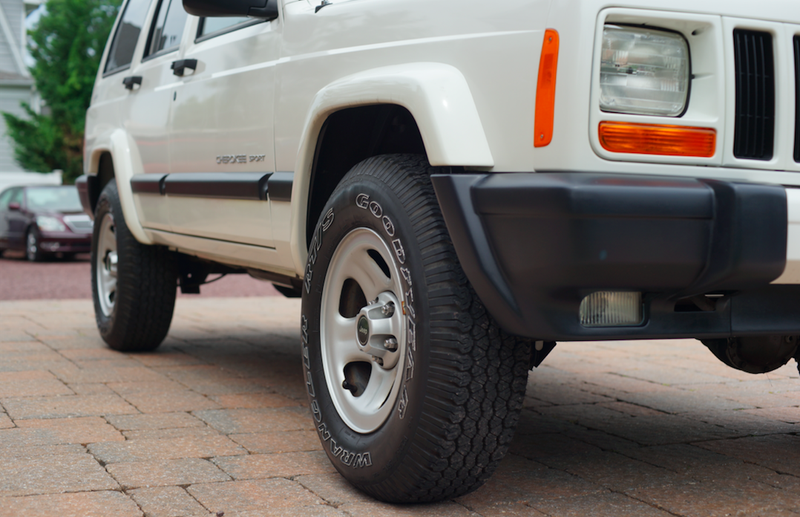 Prepare your feeble minds for photos of a factory-fresh Jeep Cherokee. John and his buddies drove to the seller’s house in Glendale and immediately had their minds blown when they lifted the car cover. 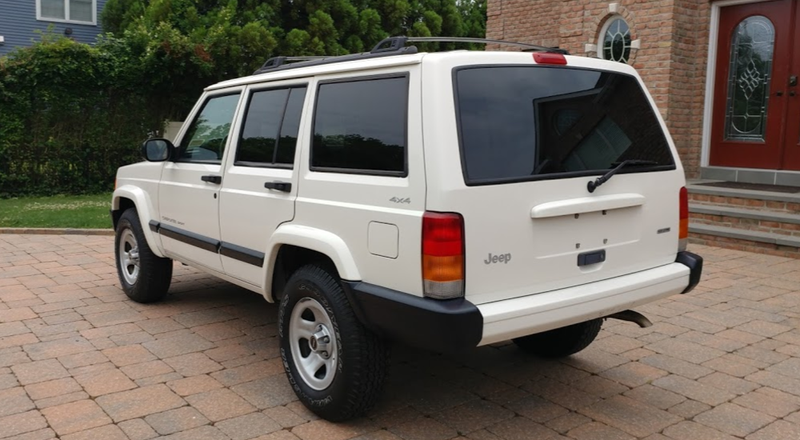 Not only did the XJ somehow have only 4,400 miles on the odometer, but it still had original instruction stickers for various features (like the folding seats and floor jack), the original tires, an original cargo cover, and an absolutely mint interior. 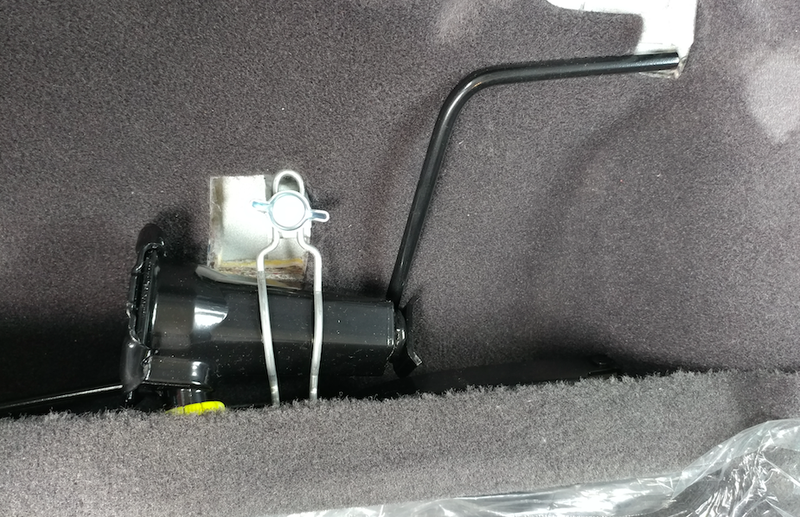 Oh, and there wasn’t a spec of rust. Anywhere. 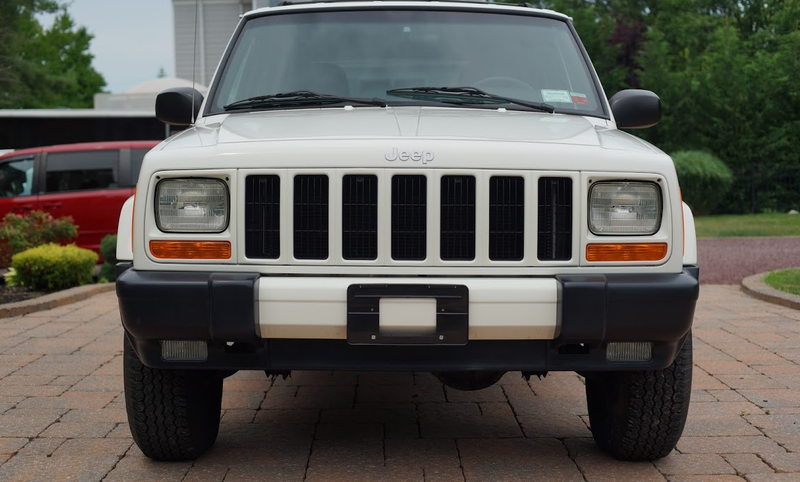 Aside from a thick coat of dust, John says the Jeep looked brand new. 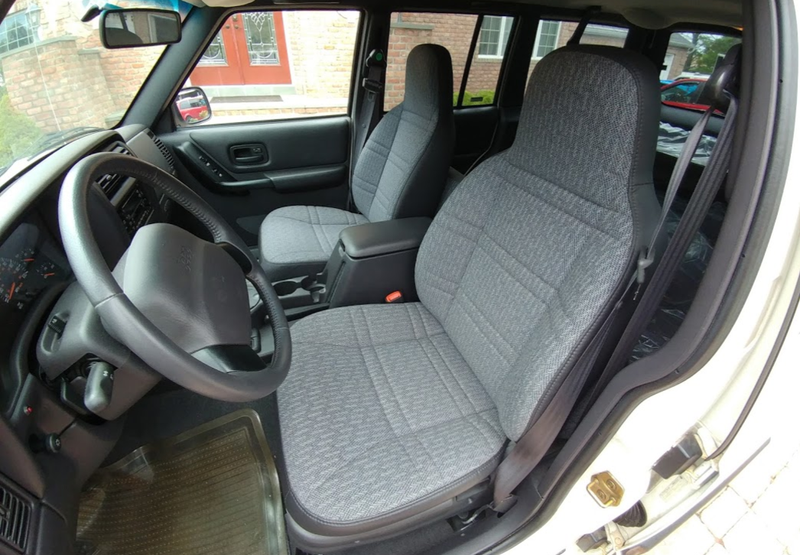 And judging by his pictures of the Jeep post-cleaning, he’s not lying." 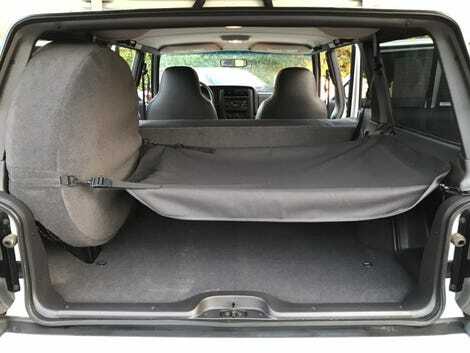 I would KILL for this driver seat. Brand new condition and my same color! 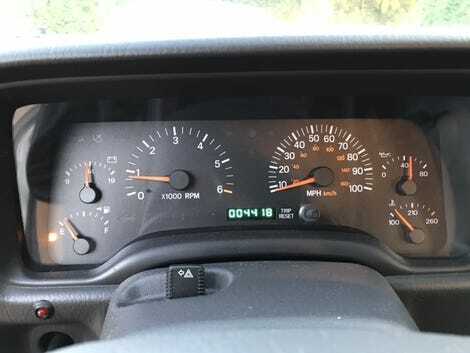 Got my jeep with the same wheels except of course a different color and way more miles on the odo. 68 Camaro would be my second pick too. Indeed they could. Partly why I posted the article, so I could go home and rearrange my bottle jack properly! Scott, if you want/need your seat cushions and covers returned to "like new" condition, I have a friend in the upholstry business who is top-notch having learned from his dad, and doing upholstery for many years, including high-end restorations for muscle cars, and high-end ($$) antique vehicles.